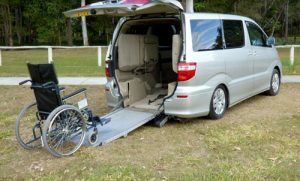 Amind is your go-to source for wheelchair conversion Brisbane. We are industry leaders, and our products are of the highest quality and workmanship. We comply with the toughest of standards. We use the latest and most reliable technology available. All our expert installers are highly trained, certified, competent, and experienced. Our vehicle modification certification is recognised Australia-wide. We are the chosen provider for wheelchair taxi conversions. Having been established for over 17 years, we are one of Australia’s leading providers of wheelchair conversion. Our workshop is open every day and offers 24-hour service on lifters, so you never have to get caught out without transport. 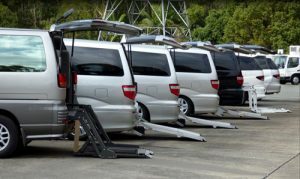 We can perform conversions on a wide range of vehicles including sedans, vans, and buses. We offer 6 Way Base Internal Access Systems, Back-Savers, Big-Lifters, Caroney Wheelchair Systems, Chariots, Curb-Siders, Door Automation Systems, Joeys, Lifters, Mobility Lift Folding, Split, and Full Platforms, Out-Riders, Out-Siders and Out-Sider Micros. Whatever design is needed, we have the product perfectly suited for the desired result. We can fit child restraints, perform lifter maintenance, prepare VOSS reports, supply spare parts, reconfigure seating arrangements, and provide accessories like tow bars, bull bars, side-steps, and cargo barriers. We are customer-focused, and provide a swift service at a reasonable price – and our products and installs are built to last. Every product and install is extensively safety-tested, and comes with a warranty. 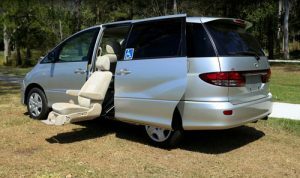 When it comes to wheelchair conversion Brisbane, Amind can provide all the products and services you need to get your vehicle modification done correctly, in a timely and cost-effective manner. Our focus on quality and safety make us the best choice hands-down. We pride ourselves on being able to help mobility-impaired people with their transportation needs, and have gained a trusted reputation within the community. With Amind, the future of accessible vehicles is here.